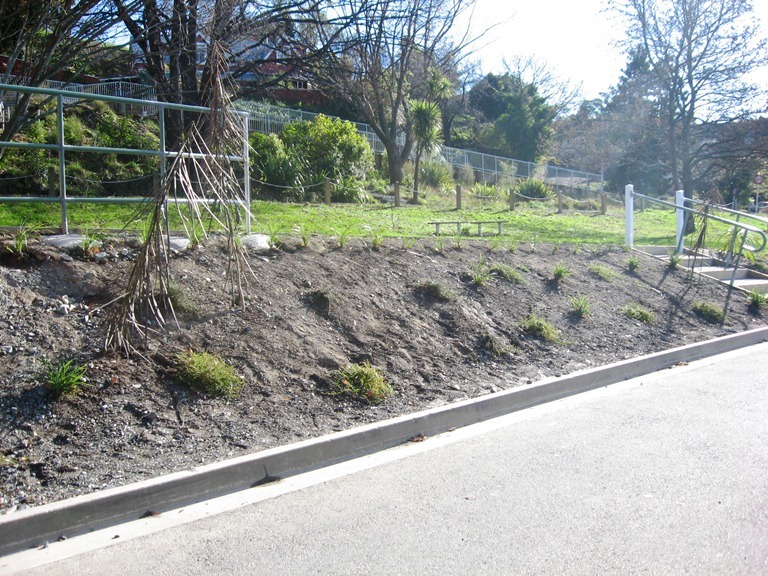 victory kids' news: The gardens by the whare. 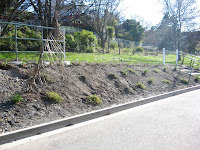 Room 8 and 14 have been planting in front of the Whare. The builders have made steps there for another way to get to the Whare. The builders brought a trailer full of dirt for the plants. The trees were hard to plant because they were tall even though it hasn't grown to full size yet. You can come down to the Whare to see the plants. They look great well done Room 8 and Room 14.